The Professional Regulation Commission and Board of Marine Deck Officers conducted on the 29th & 30th days of January 2014, the Marine Deck Officers (Written) Licensure Examination in Manila and Iloilo testing centers. PRC announces that 60 out of 111 passed the Master Mariner Licensure Examination, 266 out of 510 passed the Chief Mate Licensure Examination and 726 out of 1,384 passed the Officer-In-Charge of a Navigational Watch Licensure Examination. The Marine Deck Officers board exam garnered a total of 1018 passers where in 56 out of 101 passed the Master Mariner Licensure Examination, 198 out of 449 passed the Chief Mate Licensure Examination and 764 out of 1,392 passed the Officer-In-Charge of a Navigational Watch Licensure Examination. 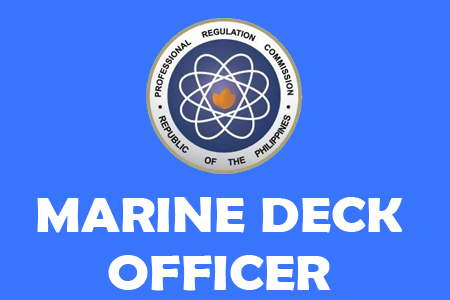 The results of the Marine Deck Officer Board Exam usually become available after three working days from the last day of examinations. PRC conducts the exam twice a year. For the meantime, while waiting for the update, please bookmark it now or visit this site more often for you to be updated. You may also share this post to your friends so they may know about January 2014 Marine Deck Officers Board Exams Results. Comments or suggestions about "Results of January 2014 Marine Deck Officers Board Exams" is important to us, you may share it by using the comment box below.